eLearning Best Practices / Is eLearning Content King, Queen or a Slave? The questions and the answers where extremely interesting and varied based on the background of the eLearning expert. Is eLearning Content a Slave? 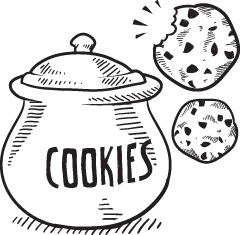 What I would like to mention is Craig’s thought that "we tend to see more and more eLearning courses where the eLearning content is a SLAVE." Craig explain that "this is a usual phenomenal especially with Rapid eLearning Authoring Tools which promise that by using this or that Rapid eLearning authoring tool you will create a remarkable eLearning course." Unfortunately several people believe that by simply using a Rapid eLearning Authoring Tool the success of an eLearning course is guaranteed. Since we were at beautiful Milan, Italy, where Ferrari is manufactured, I gave the following example, Is it Michael Schumacher or is it Ferrari? 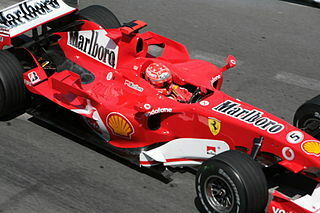 It was 70% Schumacher, the eLearning content, and 30% Ferrari, the eLearning technology. That does not imply that as eLearning developers should not do an extensive research of what eLearning technology we will use, and why. As you know Ferrari is one of the word’s best Italian sport car. However, what it will happen if we give a Ferrari to a person that does not know how to drive. Ιs he/she going to be a better driver because of the car? What experience the passengers will have with a really fast sport car like Ferrari and with a driver with basic driving skills? Back to the initial question Is eLearning Content King, Queen or a Slave? 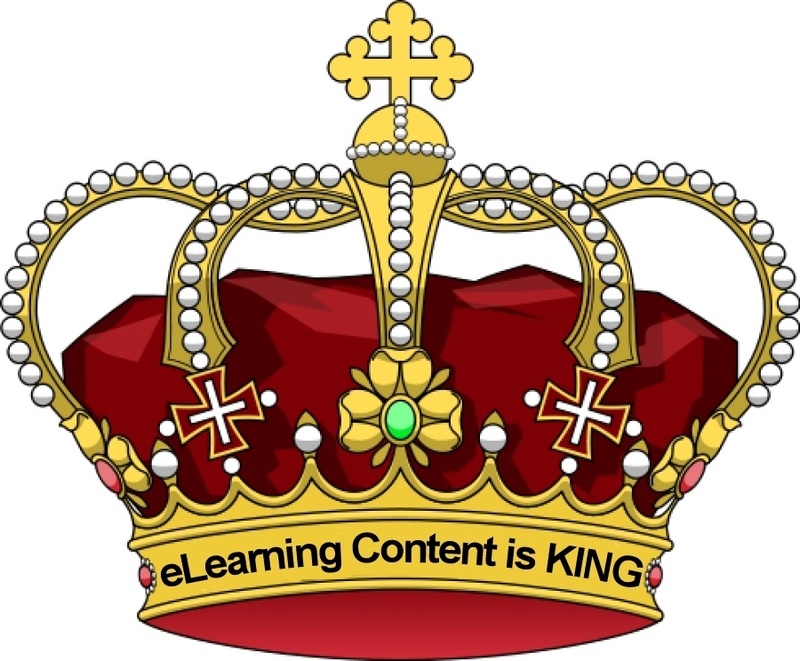 In my opinion the answer is simple eLearning Content is the KING! If not, it should be! A few months ago I answered the question How to go about converting a face to face course to an eLearning format that I highly encourage you to read. So, let’s see how all these affect the effectiveness of the entire eLearning course and learner’s experience, without forgetting that quality eLearning content is a key ingredient for a successful training. eLearning’s basic goal is not only to reduce the cost of training, but also to generate business results and since in the most cases there is no face-to-face interaction, what we have is a lot of content. By wisely using the content, we will be able to measure effectiveness and therefore get a ROI. There are basically 5 steps we need to follow in order to ensure the effectiveness of our eLearning content. The first thing we should do is to closely monitor enrollment. If people are not interested, then you probably need a different approach in promoting your course’s content and what it can offer. The second is to monitor how do people react to the content. Do they easily move on? Do they have a lot of questions? Do they understand the structure? Maybe the content is too hard to read, or boring or plain difficult, generating a stressful overall experience. The third step is related to the course’s completion. There will always be people who are forced to take a course, because it’s mandatory for their job. But there are also people who are genuinely interested in completing it, and that will provide you with honest feedback on quality and effectiveness towards their business goals. Pay special attention to this kind of feedback and try to implement comments and suggestions to your next course. If you target the right content toward the right audience, then the desired result will certainly be achieved. The fourth step is to monitor learners’ success. And this might be a little tricky – due to the eLearning’s structure. It’s important to have multiple assessments, throughout the course, that will allow you to measure progress. The most effective content is the one that categorizes evaluations by learning objectives, so you can see who has done well. Last but not least, we got learners’ feedback; a crucial part of eLearning. Feedback should be related to content, evaluation methods, video, audio and other media use, interaction level, graphics quality, and structure. However, it all comes down to content at the very end. Even if technology or layout is a little off, content is the one that will either win your audience over or disappoint them altogether. Do not hesitate to share with the eLearning community your thoughts. Is the eLearning content King, Queen, or a Slave?